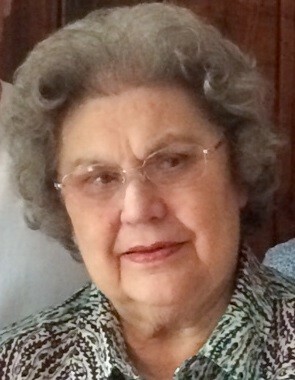 Jeanice Galloway, age 92, passed with her family at her side on Monday, March 25, 2019. Jeanice was born in Minneapolis, Minnesota on June 9, 1926 to Cora (Dalseth) Swanson and Oscar Swanson of Omaha, Nebraska. She spent her childhood in Omaha and graduated from William Woods College and the University of Nebraska. She married Dean Galloway in 1950, and they began raising their children in Red Oak, Iowa. The family moved to Overland Park, KS in 1965. She loved spending time with family, friends and her faith community. Jeanice loved the Lord Jesus and her faith was the center of her life. She is preceded in death by her husband Dean, her brother Bill, and her daughter in law, Sharon. She is survived by her three children, Karen (Tym) Seay, Linda Galloway, and Bill (Kathleen) Galloway, eight beloved grandchildren and four wonderful great grandchildren. The family would like to thank the staff of Good Shepard Hospice and Delmar Gardens of Overland Park for their support and excellent care of their mother. The service will be a private gathering with the immediate family only. In lieu of flowers the family suggests a donation to the charity of your choice.